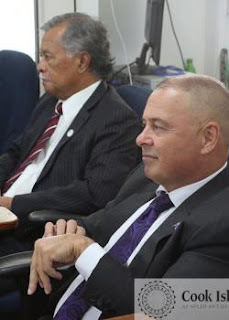 Cook Islands Deputy prime minister Mark Brown says he believes the remuneration of the Members of Parliaments needs to be upgraded. Speaking on the final day of the first Parliament sitting of the year last Wednesday, Brown said the MPs have not had a pay rise in 14 years. Each MP gets a basic salary of $50,000 (US$33,848) which excludes allowances for travel and other commitments. Brown said the allowances that were being paid to the MPs for their travel was set back in the 1980s. “The housing allowance of our island members is something that has no relevance at all to the current market on Rarotonga,” he said. Brown made the comments on pay rise for MPs while clarifying the need for government to appoint a seventh minister. Article 13 (3A) of the Constitution allows the Queens Representative on the advice of the prime minister to appoint one additional minister who can be qualified for election as a MP and be entitled to attend and address meetings in Parliament and any committee thereof. Former Rakahanga MP Toka Hagai, who lost his seat in a petition appeal, is being earmarked for the role.